Fast approaching is the day when all communication tools will be mobile. To prepare, we must develop the right energy storage and parts technologies. TOCAD ENERGY aims to become a technology trading company that can comply with diverse customer needs by providing the latest information and trend information while enhancing its design capabilities for mechanisms and circuits. 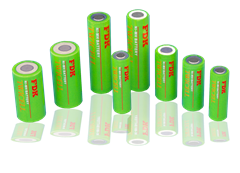 When it comes to the processes involved in our long history in the battery business, we have ample experience in working with clients in wide-ranging fields. The vast expertise we have garnered has become one of our most valuable assets. Our design and production lines have the formal stamp of approval from Battery maker This distinction reflects Battery maker appreciation of our optimal-quality results. We will continue to rely on the mutual bonds of understanding we have forged with our clients to continue providing them with products ideally suited to their needs. ● We respond to the constant demand for smaller and lighter products with our special precision-forming technologies making full use of the latest technology. ● We furnish a procurement infrastructure on a global level based in China and Asia for various domestic and foreign specialist manufacturers. ● Using the tactics cultivated over the years, we select the best procurement method for materials and parts and choose the best production technology, even for small-lot, multi-product orders. ● Design work with advanced analysis-simulation tools and three-dimensional CAD helps us visualize measurement and analysis information in graphical forms that can be readily understood. ● Our processes shorten design lead times and enable “in-depth designing”. ● Our solutions assure design compliance in harmony with market demand from both demand and supply perspectives. ● We carry out highly accurate modeling control by incorporating detailed specification changes and function changes into mockups. ● We promote a unique verification process to anticipate market needs and focus on usability, based on core technologies developed by our creative engineers. ● We carry out strict tests and gather various numeric data to anticipate actual production processes with improved performance in cost reduction, production simplicity, material procurement, and environmentally responsible manufacturing. ● We promise advanced development, highly reliable production engineering, and material procurement capabilities by networking directly controlled domestic and overseas bases. ● We handle small-lot, multi-product production, a style of production in increasing demand. ● We eliminate all unnecessary costs by systemizing the production processes at our factories (TSS=TOCAD SOLUTION SYSTEM). We realize high quality, high efficiency, and low prices competitive in the global market. The high battery voltage of lithium ion batteries enables designs with fewer battery cells. The batteries are also immune to the memory effect, which makes them ideal for various applications, including compact and light mobile devices. Laptop computers, mobile phones, digital cameras, music players, power tools, etc. These batteries have earned a good reputation and have a proven track record dating back three decades. They promise excellent, long-life and cost benefit performance for wide-ranging applications. Power tools, shavers, radio-controlled cars, uninterruptible power supplies, emergency lights, etc. These batteries are environment-friendly rechargeable batteries capable of storing about double the energy of general-use CADNICA batteries. Application is common in various types of portable equipment. RAID devices, cordless household electric appliances, power tools, etc. 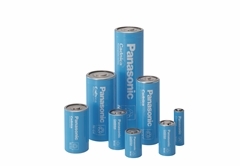 These batteries are used as compact, high-energy, long-life batteries for diverse applications, including memory-backup for devices with micro-controllers. Smoke detectors, gas meters, ETC devices, security equipments, film cameras, etc.